Prior to moving to Brisbane, I had been taking private ping pong (table tennis) lessons. They were a big highlight to my week especially because of my great teacher. 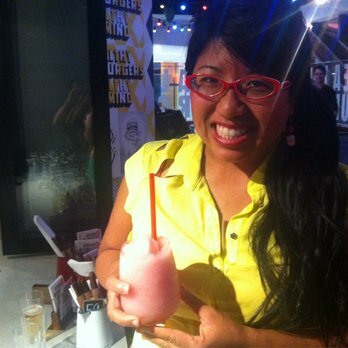 When Yelp Brisbane asked if anyone was able to attend Ping Pong After Hours at Grill’d, I grabbed my paddle and raised it high up in the air! My friend Matt went with me and we were greeted by the Grill’d staff very kindly and seated at a table near the ping pong tables. We killed some burgers and chips (fries) that came with crazy dipping sauces that included herbed mayo, tomato relish sweet, and the chili mayo. My favorite was the tomato relish sweet. The atmosphere was relaxed and the DJ was playing great tunes while we chatted and tossed the ping pong ball back and forth. 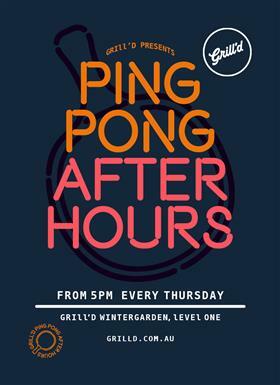 If this is your scene, head over to the Wintergarden Grill’d on Thursday evenings and have a go with you and your mates!